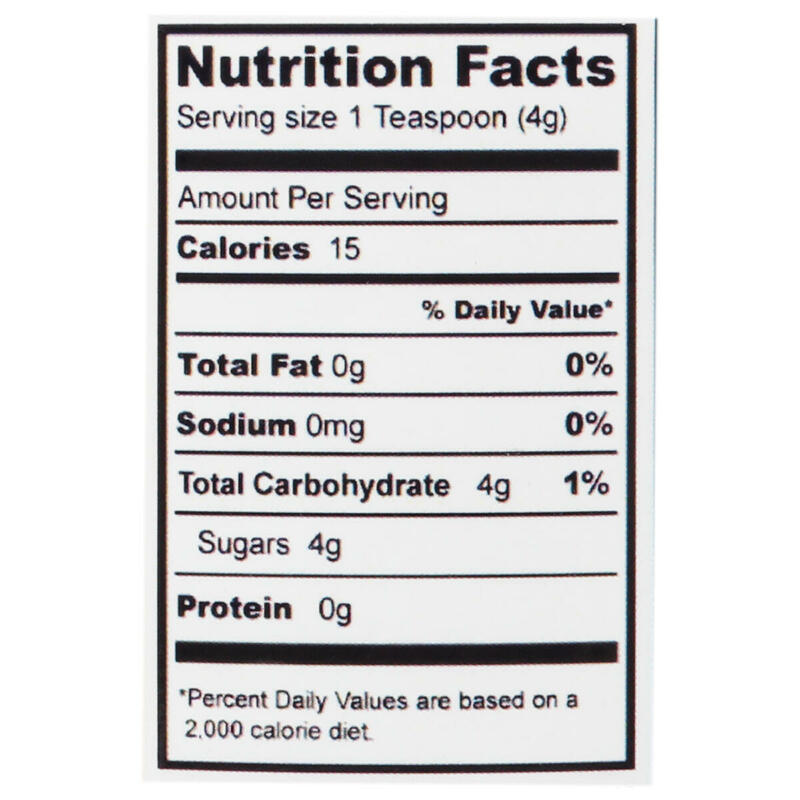 The sugar is more intensely flavored than regular vanilla sugar. 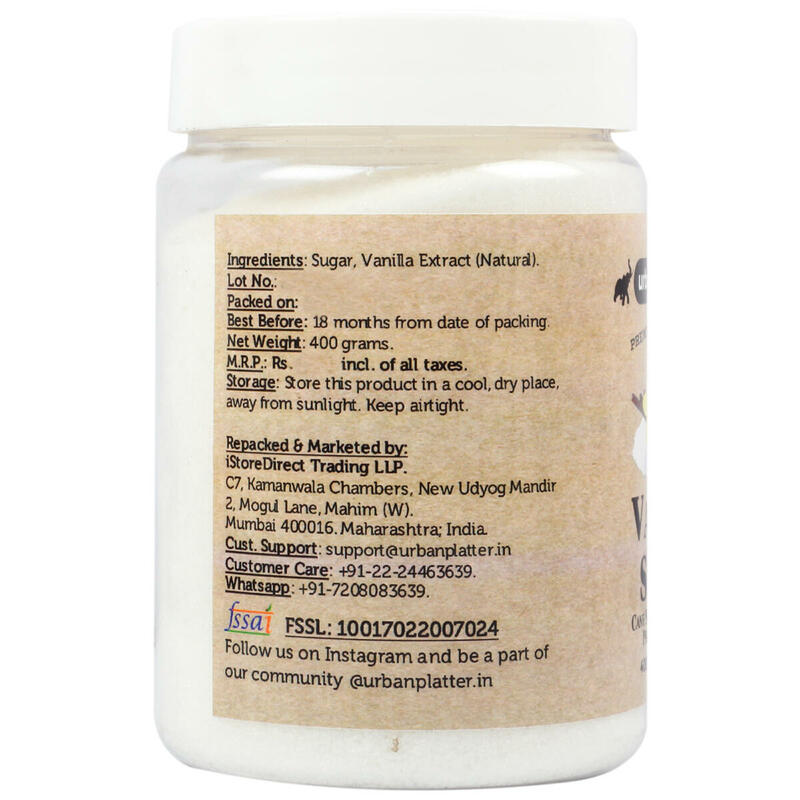 Vanilla sugar is actually sugar that has been infused with pure vanilla extract. 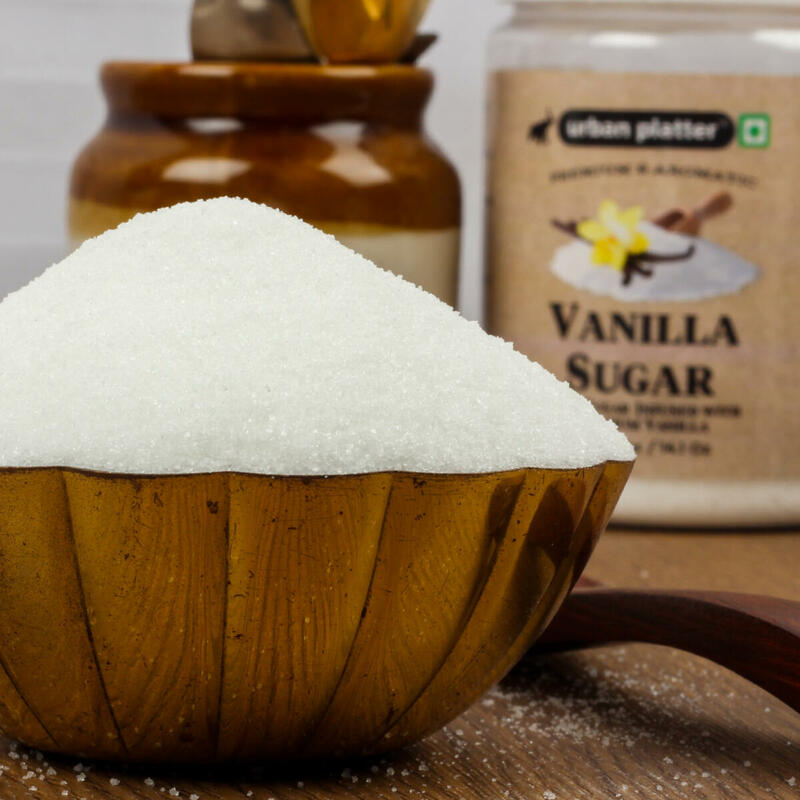 Vanilla sugar is a basic ingredient in many sweet recipes and has versatile uses. They offer a great degree of flexibility regarding the level of flavour required, allowing you to create exciting dishes bursting with full flavour. 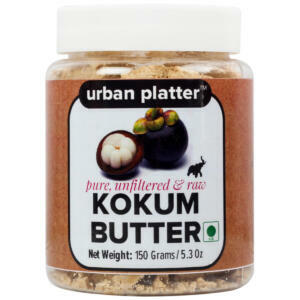 Use in baking cakes, cookies, pastries, pies, desserts and frostings. Sprinkle on baked goods to add flavor and decoration. 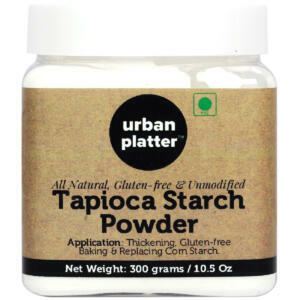 Sprinkle on fresh or canned fruits and cereals. 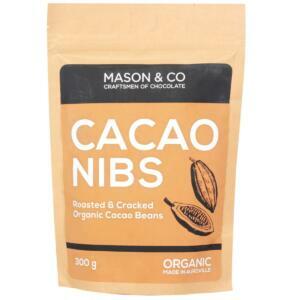 Stir into coffee, tea, milk, milkshakes, fruit juice or yogurt for flavour. 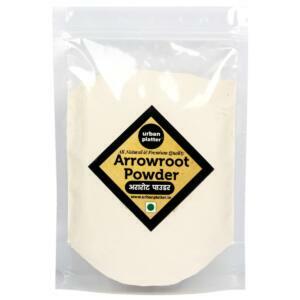 Sprinkle it over oatmeal, flavor hot drinks like hot cocoa, or add a little extra delicious depth to just about anything you want vanilla flavor too. 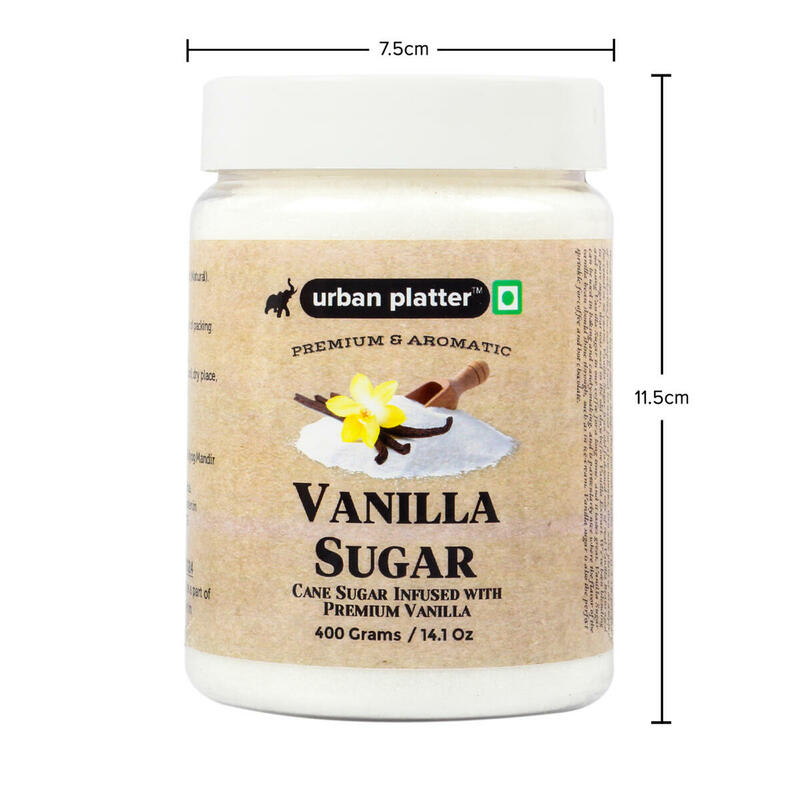 Urban Platter Vanilla Sugar, 400g / 14.11oz [Cane Sugar Infused with Premium Vanilla, Aromatic & Flavourful] The sugar is more intensely flavored than regular vanilla sugar. 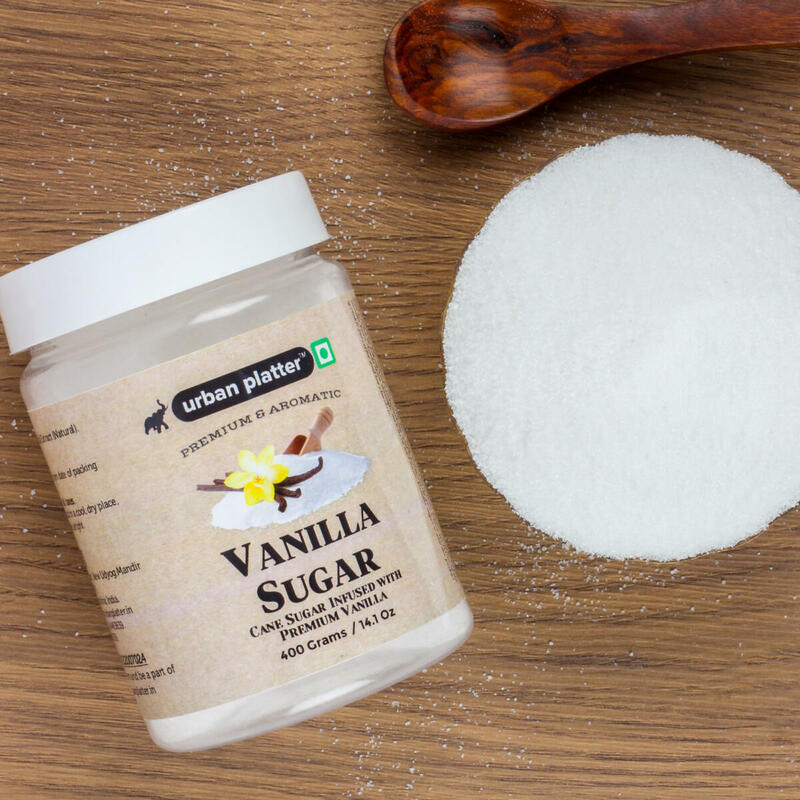 Vanilla sugar is actually sugar that has been infused with pure vanilla extract. 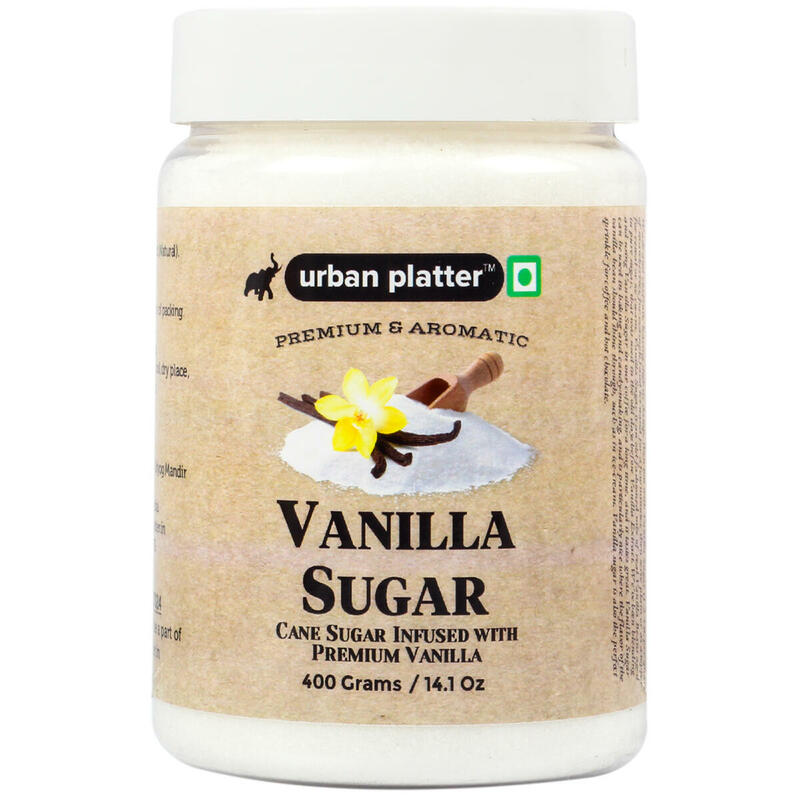 Vanilla sugar is a basic ingredient in many sweet recipes and has versatile uses. 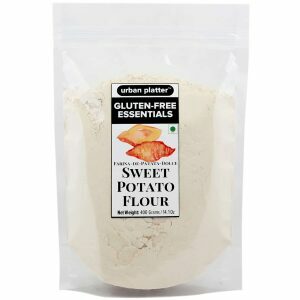 They offer a great degree of flexibility regarding the level of flavor required, allowing you to create exciting dishes bursting with full flavor or offering more subtle hints of flavor tones. 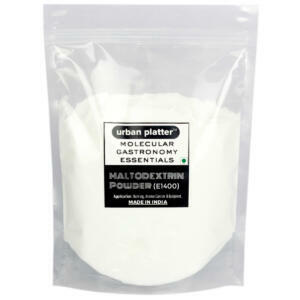 Use in baking cakes, cookies, pastries, pies, desserts and frostings. 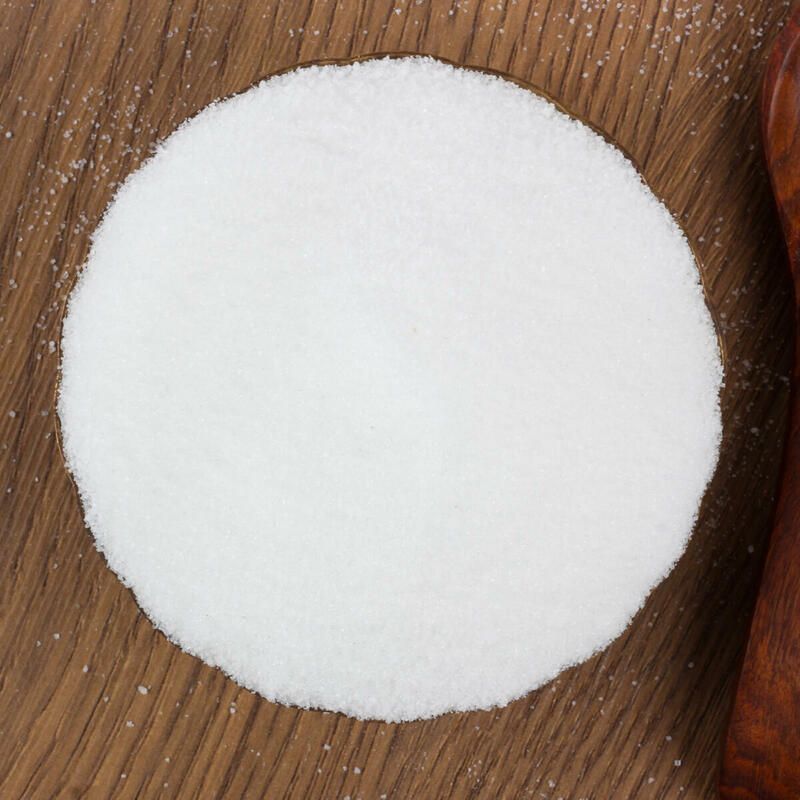 Sprinkle on baked goods to add flavor and decoration. 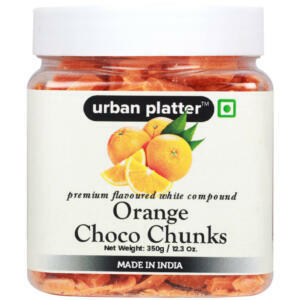 Sprinkle on fresh or canned fruits and cereals. 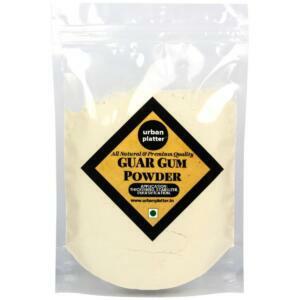 Stir into coffee, tea, milk, milkshakes, fruit juice or yogurt for flavor. 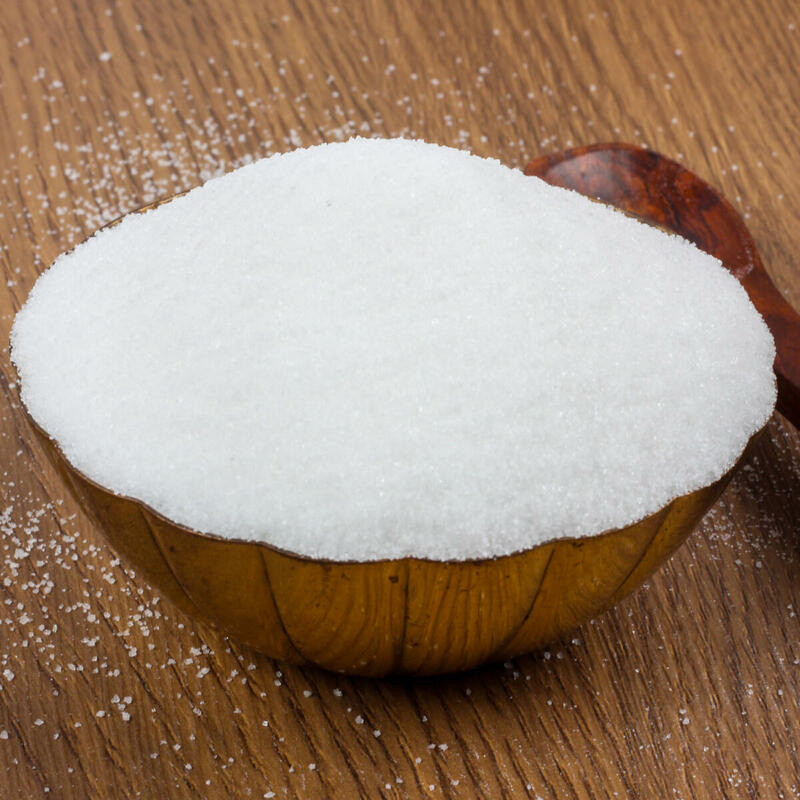 Sprinkle it over oatmeal, flavor hot drinks like hot cocoa, or add a little extra delicious depth to just about anything you want vanilla flavor too.